Whether you're out for a leisurely cruise or hitting the pavement for a long workout, choosing the right bike is important to your cycling experience. For those intimidated by hi-tech gear and expensive specialty bikes, the choice comes down to comfort and hybrid bikes. Both affordable styles offer unique benefits that can be just right for your needs. The comfort bike is a more comfortable variation of a mountain bike. These bikes are built mainly for leisurely, recreational riding and short distance jaunts on bike paths or paved roads with flat terrain. They can be used for easy dirt trails but are best for errands, rides around town or family outings. As The Bicycle Man bike shop notes, "they are not high performance bikes." The hybrid bike is another variation that incorporates elements of both mountain bikes and road bikes to accommodate cyclists who want the best of both worlds in a single bike. STLBiking calls the hybrid "the Sport Utility Vehicle of the bicycle world." These versatile bikes are suitable for paved or dirt trails and riding around town. 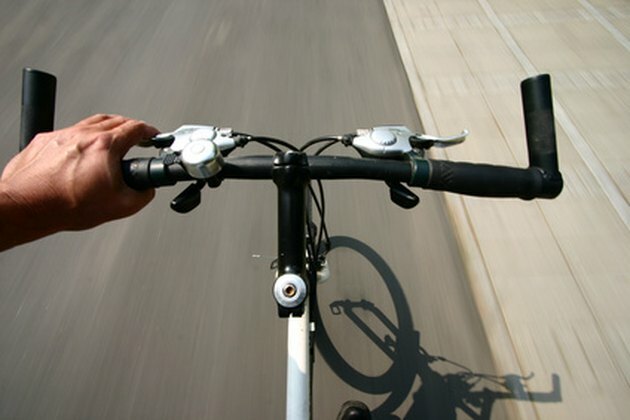 Their ergonomics allow cyclists to ride long distances more comfortably than comfort bikes. Comfort bikes come with the 26-inch wheels and wider tires standard for mountain bikes, with bigger tread than hybrids. The high air volume in these tires provides a smooth, comfortable ride that diminishes the effect of small rocks and potholes. Knobby tires can be substituted for rougher terrain. These bikes are also typically equipped with a suspension system in the front fork and on the saddle or seat post to absorb and reduce shock. Additionally, saddles will usually be amply cushioned with gel or foam. The top tube of the frame is shorter than road or mountain bikes, and handle bars are positioned higher for a more upright ride that is easy on the back. Hybrids generally come with the larger 700c wheels typical of road bikes, with narrower tires and smaller tread than comfort bikes. The high air pressure in these tires makes it easier for riders to go faster and farther. A few models are available with the 26-inch tires that are normally found on comfort and mountain bikes. Hybrid bikes will sometimes have front fork and seat suspension but with less absorption than on comfort bikes for more efficiency. Frames are lighter than those of comfort bikes, and riding position is more comparable to that of mountain bikes. Which bike is right for you depends are your needs and intended uses. Casual cyclists who want a more versatile bike to ride on paved and dirt roads at longer distances, as well as for easy rides around town, should choose a hybrid bike. Hybrids can also more easily be converted for road bike use, but are not suitable for rough mountain bike terrain. 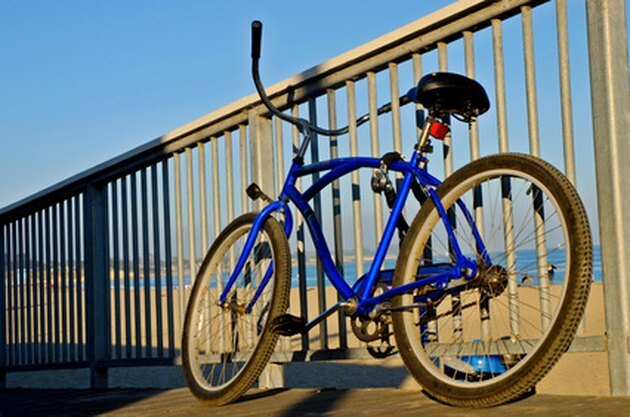 Riders who want a comfortable bike for short recreational rides at slower paces should choose a comfort bike. Where you live will also help you determine what you need. Take a look at what kind of riding and terrain is available in your area. In either case, be sure to test several bikes of each style to decide what fits you best.